What follows is a chapter from my brand new book, 101 Things All Young Adults Should Know. Enjoy! Oh no, someone called you a name! You think you’re disadvantaged because of an “ism.” It’s not fair that you got into a nasty conflict with someone else and came out on the short end of the stick. 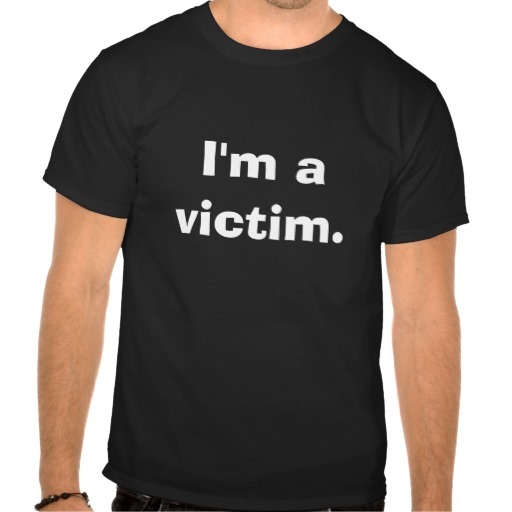 You’re a victim! You need someone to pity you so people will show up and fix your problems! This is going to be hard for some of you to hear, but that’s loser talk. If you live in America at the time this book is written, not only are you better off than the vast majority of people living today, you’re doing better than 99.9 percent of the human beings who ever lived. Throughout most of human history, the wretched masses barely made enough to live, had little freedom, and found life to be, in the immortal words of Thomas Hobbes, “Nasty, brutish and short.” Right now, half the people reading this book learned about it on the Internet, then had it shipped to their house where they sit on a plush bed in an air-conditioned room, snacking on the cheap, delicious snacks they received from a nearby supermarket while they drink a cool, refreshing beverage they grabbed out of their refrigerator while they enjoy the book. Many of the advances that have revolutionized human existence only became widely available in the last hundred years, and you have access to them while the richest, most privileged people on earth a hundred years ago had nothing that could compare. You think you have it hard? Compared to whom? Some poor schmo in a totalitarian country who barely has enough to eat and can be imprisoned or shot if he offends the wrong government official or can’t manage to save up enough for a bribe on the dollar per day that he makes? Don’t ever feel sorry for yourself. Don’t ever seek pity from other people. Don’t ever play the victim, even if you are one. Why? It’s a mentality. If you wait for someone else to solve your problems, you’re usually in for a long wait. Even if you do get help, you probably won’t like the help you get. That’s why you’re almost always better off asking yourself what you can learn from every situation and then pulling yourself up by your own bootstraps. You don’t think you make enough in your job? Add some new skills and ask for a raise. Your boss won’t give it to you even though you deserve it? Get another job. Someone calls you a name? Ignore him because if you don’t respect him, what difference does it make? If that doesn’t work, learn to fight back. You think someone isn’t treating you with respect? Demand it. It’s not always fun to take total responsibility for your own life, and there are times when it seems easier to do anything else—but if you want to live up to your full potential and have the kind of life you dream of, that’s what you need to do. Once again, if you enjoyed the chapter, the book is called 101 Things All Young Adults Should Know.